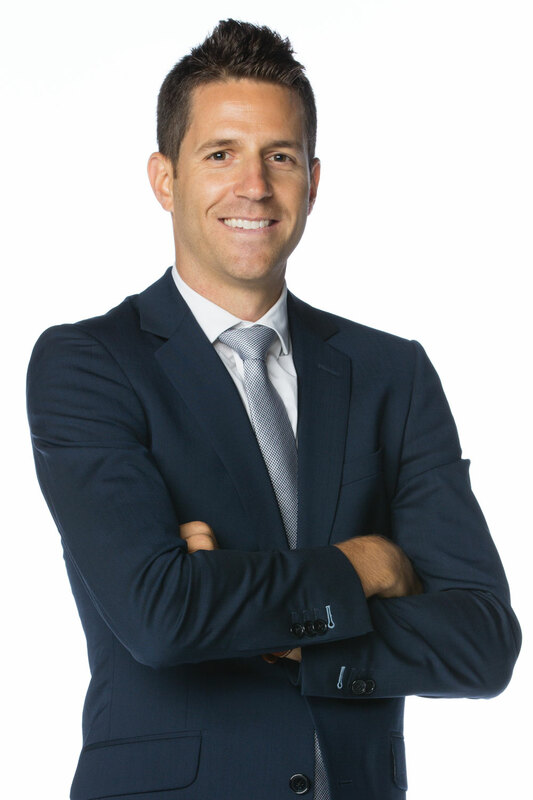 A graduate of the University of Southern California, Fisher comes to Oklahoma City from Los Angeles where he has been the radio voice for USC basketball for eight years as well as host for Trojan football broadcasts. Fisher’s television work includes basketball play-by-play for FOX Sports, the PAC 12 Network and Time Warner Cable. During his career, Fisher also worked in broadcasting for minor league baseball teams in Oregon and Virginia. 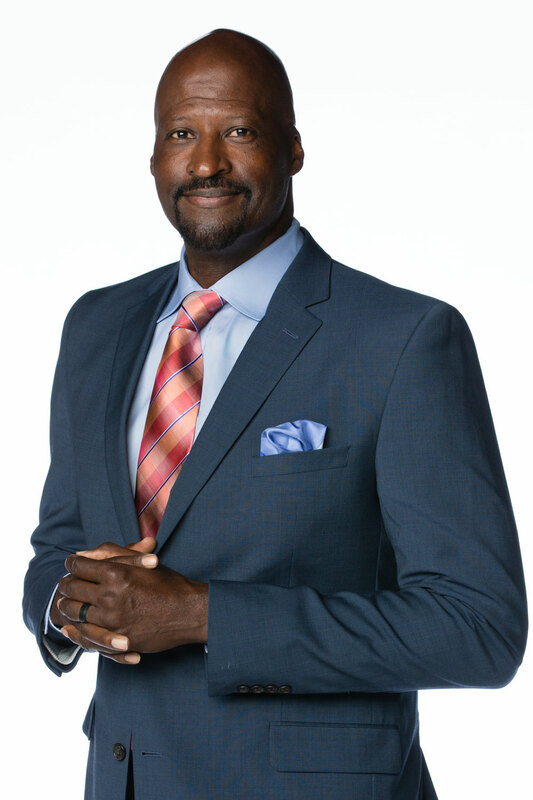 Michael Cage joined the Thunder broadcasting team in 2014 as its television analyst for all FOX Sports Oklahoma broadcasts. Cage played 15 seasons from 1984-2000 as a power forward in the NBA with the Los Angeles Clippers, Seattle Supersonics, Cleveland Cavaliers, Philadelphia 76ers and New Jersey Nets. He led the NBA in rebounding in 1988, capturing the title by grabbing 30 rebounds in the final game of the regular season. A native of West Memphis, Ark., Cage was a first-round draft pick of the Clippers in 1984 following a successful career at San Diego State University. At SDSU he was named a second-team All-American in 1984 and twice was selected as Western Athletic Conference Player of the Year. The Aztecs retired his jersey (No. 44) in 1984. He was also a member of the gold-medal winning 1983 United States team in the Pan American Games, and he is a member of both the Arkansas Sports Hall of Fame and the San Diego State Hall of Fame. Following his playing career, Cage has worked as both a broadcaster and a high school and AAU basketball coach. His broadcasting experience includes serving as TV analyst for the Memphis Grizzlies, FOX Sports West, Prime Ticket and Westwood One radio. Cage coached Mater Dei High School in Los Angeles to back-to-back state titles in 2013-14 and a national championship in 2014. He also served as a guest coach for the Cleveland Cavaliers at the 2013 NBA Summer League in Las Vegas. Cage has a long history of giving back to the community during and after his NBA playing career. The Michael Cage Foundation works with young athletes to mentor, teach and share life lessons. Veteran NBA play-by-play announcer Matt Pinto completed his eighth season with the franchise, calling all games on the team's flagship station, WWLS The Sports Animal (640 AM/98.1 FM). Prior to joining the franchise, Pinto was in Los Angeles where he has served as the radio voice of the NBA's Clippers for two seasons. From 1997-2005, Pinto was on the Dallas Mavericks' broadcast team, serving as the radio play-by-play voice from 1997-2001 and the television voice from 2001-2005. 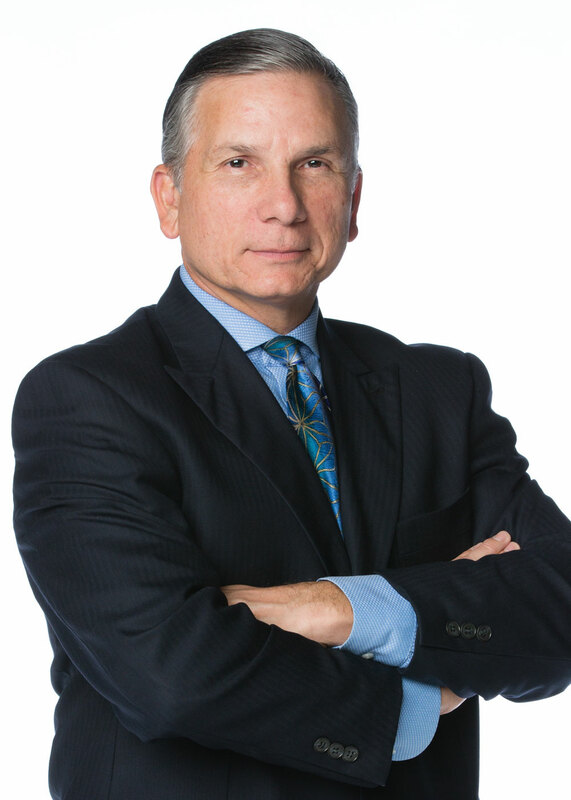 While in Dallas, Pinto also worked as a talk show host for KESN (ESPN 103.3 FM) and was the play-by-play announcer of the NCAA Division IAA regional game of the week for The Football Network. In 1997, Pinto was named best play-by-play announcer for the state of Texas by the Associated Press. From 1990-1997, Pinto was the radio play-by-play voice of the NBA's Charlotte Hornets. Pinto was also the television play-by-play voice of UNC-Charlotte basketball games and was an occasional host of ESPN national sports talk shows and the play-by-play voice of Westwood One college basketball. Before joining the NBA ranks, Pinto worked in the sports broadcasting field in Honolulu, Boston, Los Angeles and Amarillo, Texas. Lesley McCaslin completed her fourth season with the Thunder. McCaslin came to the Thunder from Dallas where she has worked as an anchor and reporter on FOX Sports Southwest, covering the Dallas Mavericks, Texas Rangers, and Big 12 and Conference USA football. Her career also includes Texas high school football broadcasts and local TV sports reporting in Texas markets Austin and Abilene. She grew up in west Texas and graduated from the University of Texas at Austin. 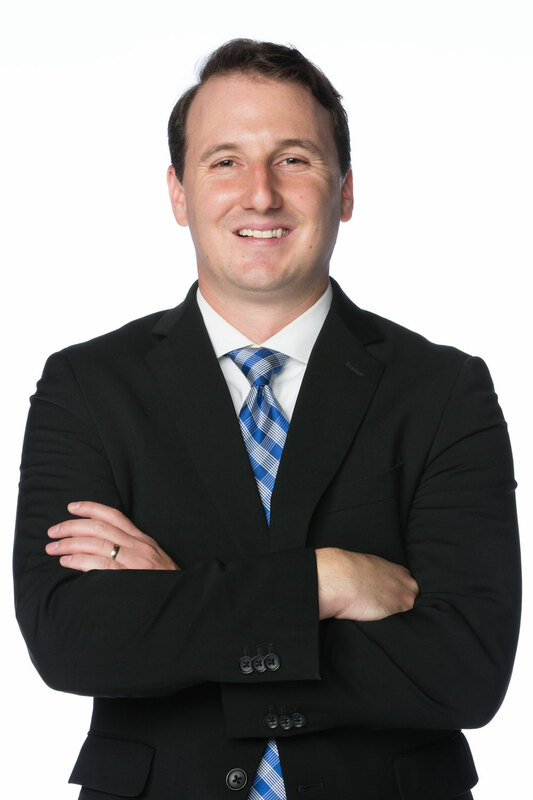 As Sideline and Broadcast Host, McCaslin anchors the team’s pregame show Thunder Live, provides courtside reports during the game broadcasts and is a frequent video contributor to the team website, okcthunder.com, covering Thunder Basketball and community events. Nick Gallo completed his fifth season with the Thunder. Gallo joined the Thunder after working as a reporter for the New York Jets’ official website for two seasons. Prior to that, he reported for the Tennessee Titans’ official website for two seasons while attending Vanderbilt University in Nashville, Tenn. He also covered sports for the Vanderbilt Hustler before graduating in 2010 and wrote for the Chapel Hill News while growing up in his hometown of Durham, NC. As Digital Content Reporter, Gallo writes daily articles for the Thunder’s official website, okcthunder.com, including practice reports, game previews, game recaps, features and community stories. In print, he contributes as a writer to Thunder Magazine and the game night programs. He also serves as the daily video reporter and producer for okcthunder.com, frequently contributes in that role for the Thunder Insider television show on Fox Sports Oklahoma and served as reporter on the Steven Adams documentary, The Kiwi Way. Starting in the 2014-15 season, he began regularly providing courtside reports for the Thunder’s Fox Sports Oklahoma game broadcasts.